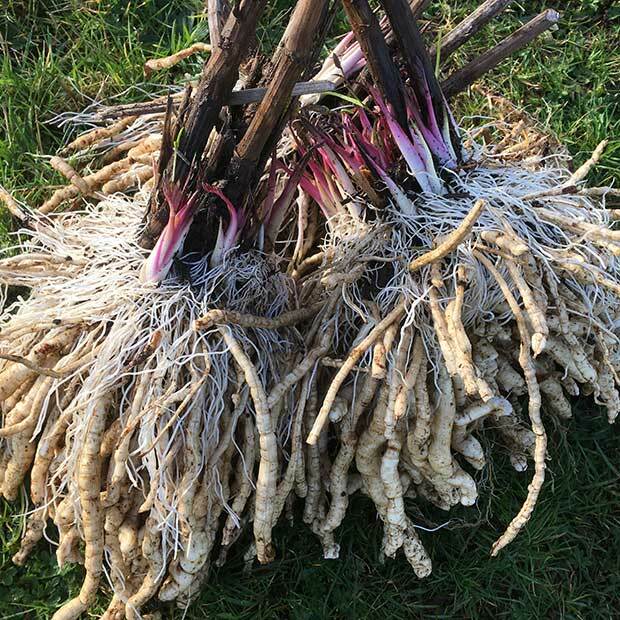 Our next plan is to attempt some long term skirret breeding, trialling lots of plants grown from different seed sources to see which produce the largest eating roots and also, most importantly which have roots without a woody core. 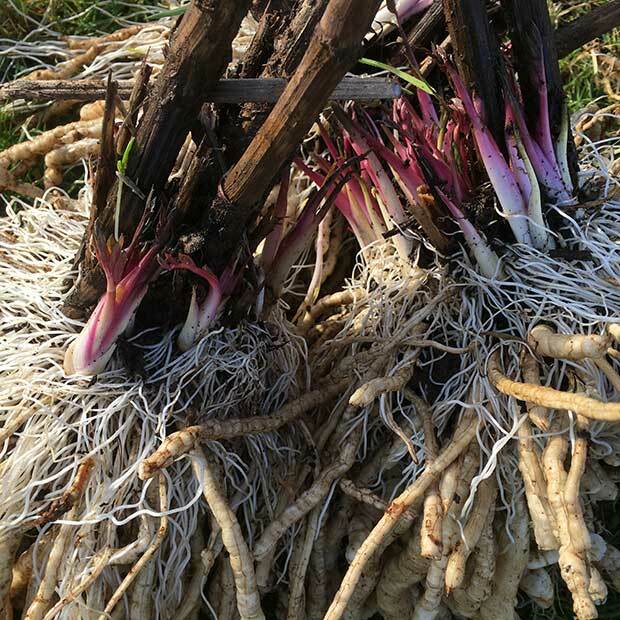 Harvested in March 2017, after three years, skirret with some good eating roots. Left to develop undisturbed, these skirret plants have matured nicely. You can see the offsets at the top which can be pinched off to propagate new plants. 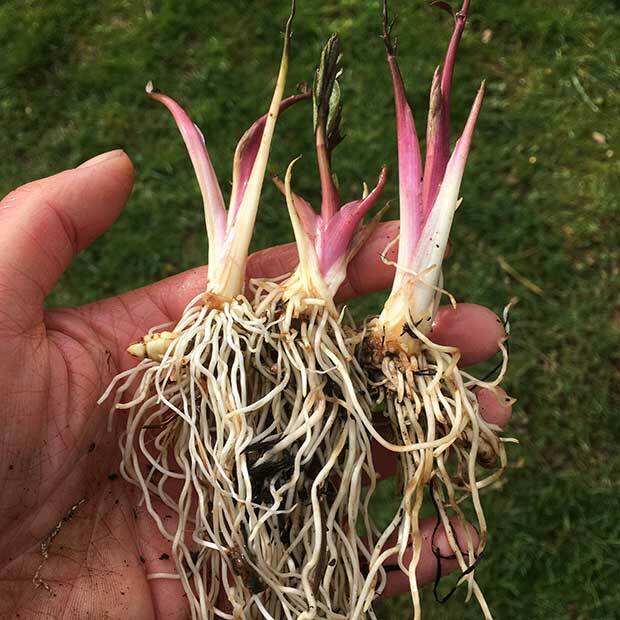 Lifted in early March, you can see the clusters of offsets at the top of the root crown. Three year old plants with a mass of sweet tasting roots. 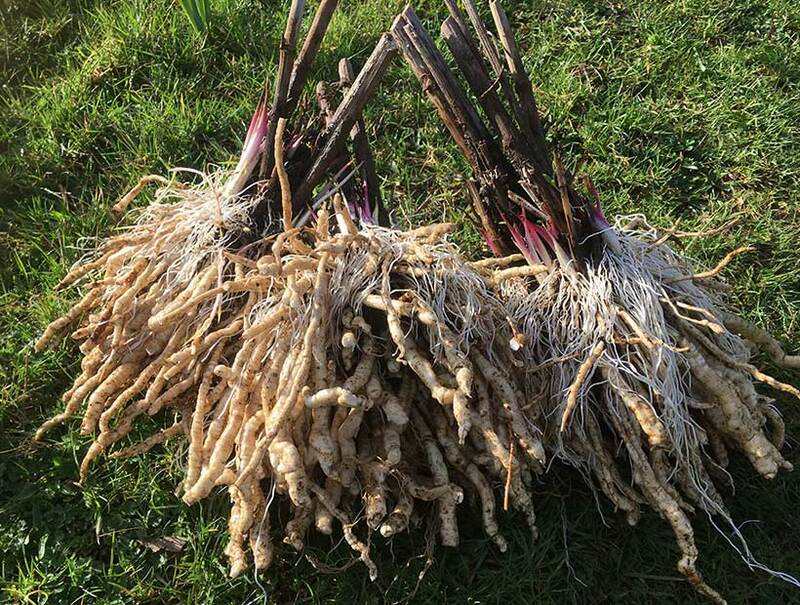 Skirret offsets which have been divided from a mature skirret plant. These offsets can be potted up and left to develop before planting out. 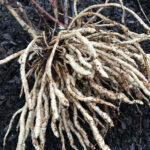 Each one produces a new skirret plant. 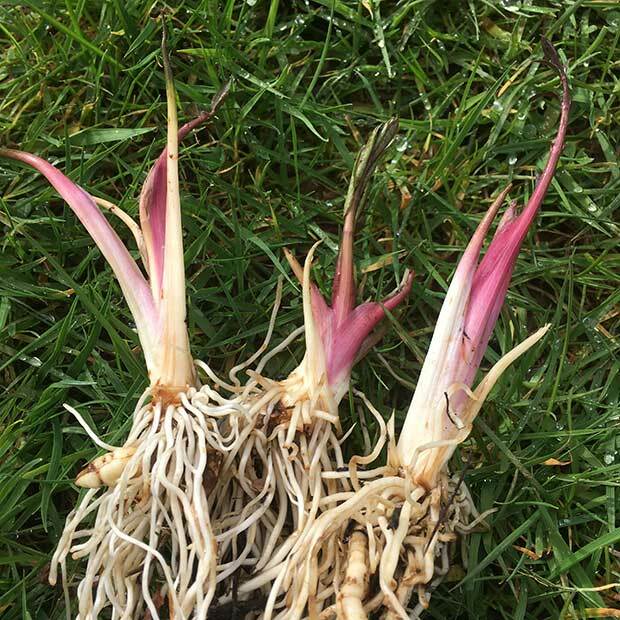 Using offsets is a very quick and easy way to propagate skirret plants.